After departure, 180 transferred from Albertina. 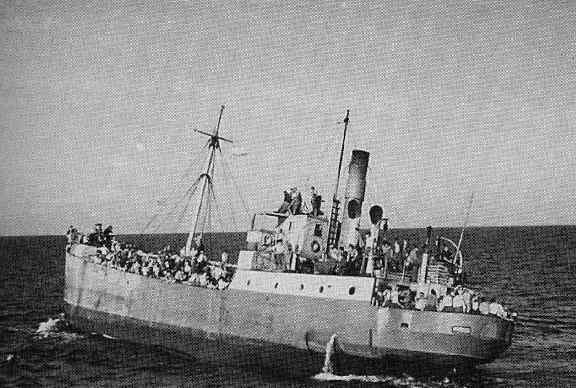 A very crowded ship and listing heavily, captured at sea by the destroyer Cheviot. Stiff resistance to deportation.